I grew up on books, adventures, and questions, and I now find myself little changed, if not hopefully more matured. In high school, I enjoyed playing soccer and lacrosse amidst a Jesuit education and California living, and ultimately found my way to chamber choir. Now at Notre Dame, I’m majoring in Philosophy and Theology, working through an Italian minor as well. At ND, I’ve loved singing with the ND Liturgical Choir for the past two years, and writing and editing for Lost Piece, an undergraduate journal of letters. As a student of Philosophy and Theology, there could be fewer geographic places more attractive than Italy. The academic history of Italy boasts pride of place in the Western Tradition, a country which developed the writings of the Romans, assumed the philosophy of the Greeks, and anticipated a Medieval era flourishing in the humanities. For me, the prospect of someday working, researching, and teaching in Italy is something I could only dream of as an undergrad. As far as my academic interests have led me thus far, I think that teaching, whether at the high school or University level, is where my future interests lie. Beyond studies into Latin and Greek, Italian will be the first secondary spoken language that I want to master. It is a language as aesthetic as it is academic, and there are authors both ancient (Dante) and modern (Primo Levi) which I would be interested in reading, either in graduate studies if not during these undergraduate years. This month of Italian language & culture learning seems a small venture into a very large Italian history and culture, but I think the opportunity would be perfect for my academic trajectory, as well as my appreciation of Italy as a whole. Three goals: first, conversational proficiency. Perugia and the language program will be perfect for spontaneous and daily interactions in Italian with not only fellow classmates, but also with residents of Perugia. Second, cultural immersion. I can learn italian in America, but I can only live it where it flourishes and defines a specific heritage and history. Italy’s regions are beautifully diverse, and I hope to fully encounter and enjoy what Umbria has to offer. 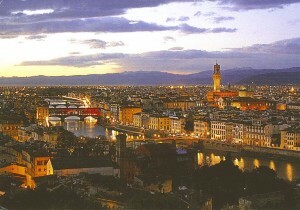 Third, experience for living in Italy. I will be studying at L’Università di Bologna in the spring this upcoming Junior year, and logistically making the shift into a completely different lifestyle is not easy. I think this month will provide at least a glimpse into what that semester of learning will entail. By the end of June, I will have fully immersed myself in Perugian/Umbrian culture: food, music, liturgy, history, and language. 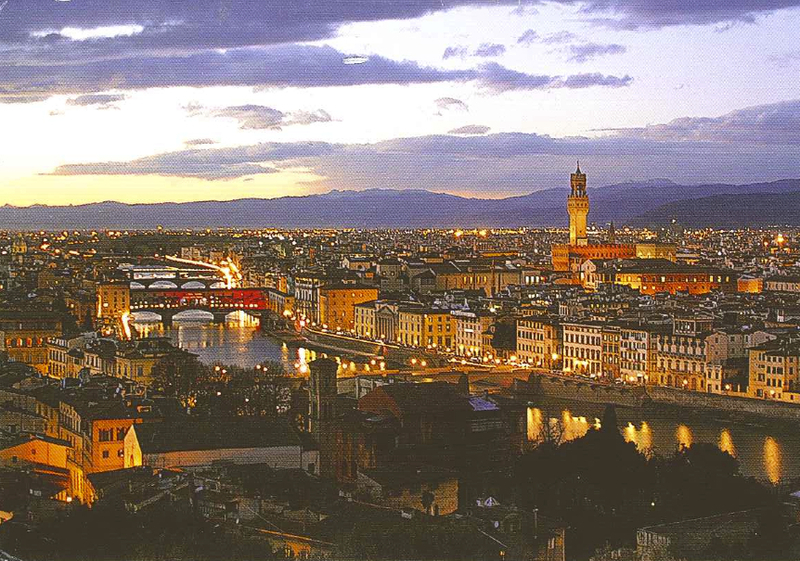 By the end of June, I will be able to hold a conversation with Perugian locals, discussing topics both intellectual and commonplace, and concerning both America and Italy. By the end of June, I will have challenged myself academically, to engage class time, and especially time outside class for language learning. By the end of June, I will be able to approach Italian movies and media proficiently, appreciating both. By the end of June, I will be able to return to Notre Dame to analyze and write at greater length on Italian literature in class. The program through the University for Foreigners has manifold opportunities to get involved in the city of Perugia, especially through the Umbria Institute. The Institute provides workshops through which I could learn about Perugian cuisine and others during which I could meet with other students and faculty to practice my italian. I plan on looking into their program Tandem as well. Tandem facilitates language learning by providing venues and groups of students to eat and travel with. 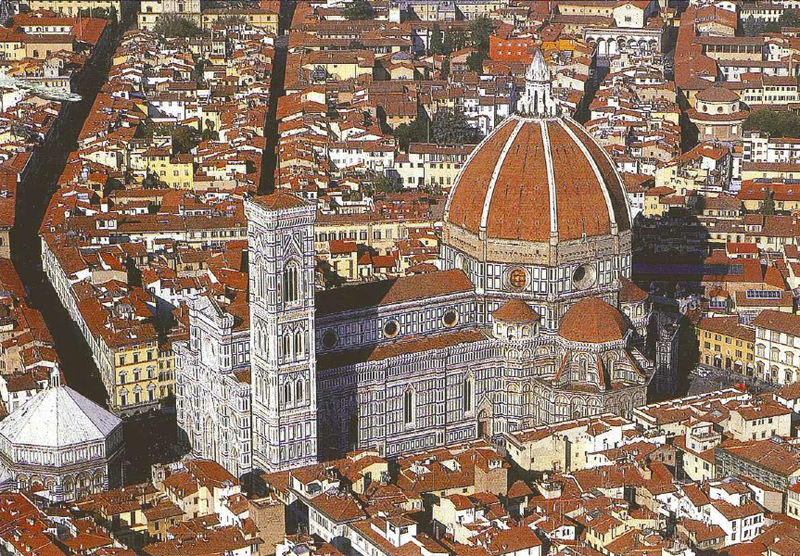 Besides University activities, the main sights I’m looking forward to seeing are the Palazzo dei Priori, Cathedral of San Lorenzo, Fontana Maggiore, and the Basilica of San Pietro. From the moment I met at the airport the woman who was to host me for this foray into Florence, I knew I was in for my fair share of blank stares. Followed by, “Mi dispiace, ma non capisco” (I’m sorry, but I don’t understand), and then by her knowing smile, and a recapitulation of what she said. If there is any beginning lesson from which to depart, it would definitely be developing a spirit of humility. I’ve realized that I’m submersing myself not only in a language, but a completely different way of life; to say that the world just got translated into another language would be an understatement. But what a wonderful opportunity, to learn day by day the beauty hidden in Italian culture. I’m very much looking forward to seeing how I can grow during these fleeting 4 weeks of study. Classes have begun. Enrollees of the Institute come from such diverse places as Latin America, Germany, Canada, the US, and France. After what would become the ritualized route on bike to class everyday through the Florentine streets, I met this group, and we waited for placement into our respective classes (unfortunately, a bit different than I had imagined, much to the dismay of my Hogwarts-inspired imagination…). Much thanks to my instruction at Notre Dame, I was able to finish the preliminary grammar test without much difficulty. But then came the real test. I was placed in a class with about 7 other students, ranging from age 17 to 71, the majority of which grew up in families that would speak Italian in the household. So far, the challenge has been met, increasingly. What I am looking to develop now is the ability to listen; not passively, but actively during class. I need to learn how to find a compromise between participating, and observing. I’m at the breaking point, starting to feel more comfortable having conversations with friends outside the class, and looking forward to more instruction, and exploration of the city. Already well on my way to finishing half the course, I feel very much at home here. Routine has set in, and I have become increasingly comfortable using Italian at the supermarket, at the bike repair shop (lifesaver), and around town. My Italian teacher this week told us that italian language learning is like water dripping on a solid rock, slowly wearing it away and making progress one drip at a time. I think it works. Vocabulary, grammar, revisiting what one’s already learned, practices exercises, everything comes slowly, but aggregates. All together, it’s all allowed me to begin speeking, at sometimes at length. Although often it seems like I’m speaking without a problem, and others that I can barely string together a sentence, my language learning comes daily, in these small doses. In many ways, what I’ve learned (often against the summertime inclinations) here in Florence is the importance of ritual, and habit. Each day is as similar as it is different, providing the same structure and opportunity, but allowing for variation, revision, clarification. Italian at many times can be frustrating; the temptation to fall back into English when I can’t express myself properly is very viable in this city, full of tourism and bilingual inhabitants. So, I continue to study. I was thinking about the story of Babel, the tower that was to be the pride of man, known throughout the world. It seems strange that biblical history records the creation of languages as a burden and a punishment, a source of division. Before the tower, among the inhabitants there was peace, manifested in the unity of their language. In short, understanding. After this “linguistic fall,” the consequence was confusion, pride for one’s own language, conflict. And although this may just be a bible story, the same incommensurability of global languages even today expresses this necessary difficulty of communication. At least to begin, much of language learning can be seen as this struggle for personal reunification: a reconciliation within language itself, harmonizing definitions from two different cultures and worldviews through this tool we have been given. It is apparent to anyone attempting to learn another language that grammar and syntax is only the beginning: one must be taught within the culture, be immersed in the societal personality in which it is expressed. In this way, we can build bridges between languages, return at least in part to that sense of unified humanity to which the bible story refers. I have seen this in the smiles (bemused or not) of the people of Florence: supermarket workers, gelato vendors, waiters, others in church, or on the streets. Maybe it is that through something as rewarding as language learning it is that we come to build this sense of universal humanity, at least within ourselves. It has been fortunate that this trip has provided concurrently the labor and fruits of language learning. The majority of my experience here has been within the classroom, among students and teachers. In the midst of summer heat, a general lack of air-conditioning, and the necessary demands of school, these days can seem tedious, at least difficult. But, maybe that’s just a necessary step of learning, patiently learning and re-learning the basics for reading and speaking. But, that being said, class was very enjoyable. Everyday followed a general structure. We’d correct homework, talk about our activities the evening before, then the teacher would introduce another lesson, followed by exercises. From there, we’d talk some more about future plans, then break, and return to speak on a particular topic of interest. These topics ranged from cultural differences to plans for the future, the importance of fashion to talk of (guess who asked these questions) philosophy and theology. In those discussions, I wanted to be able to express my opinion, so it forced me to formulate sentences quickly. It’s fun (or frustrating, depending how successful you are) to see how to speak around a word you don’t know, or find another way of getting your point across. In all, it improved my spontaneity of speech, and was well worth the time in class. It’s my last day here in Florence. Visited the Baptistry of the Duomo this morning for mass, and have plans to go swimming with friends later, then catch a drink before heading to a concert outside the Duomo. Looking back on this busy month, I’m very grateful to say it didn’t fly by. 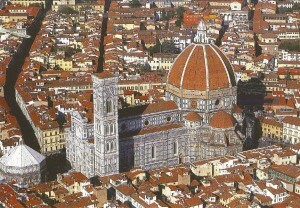 Everyday was full of its own schedule of school, visits to historic churches, weekend trips exploring Tuscany. The liberty provided by this experience gave me the opportunity to make each day unique, enjoy every new moment; at times like these, you realize that life almost demands your gratitude and appreciation. My Italian has improved a great deal. I am no native, but I can hold conversations, communicate effectively and within a wider range of topics and forms of expression. And with such an experience has come a sense of confidence, which I’ve found essential for speaking a foreign language. After such instruction, if you tell yourself you can speak, you will speak. From here on out, I look forward to many more months of speaking Italian, especially my semester at L’Università di Bologna in Italy. Many adventures to come. After completing this summer’s intense but rewarding four weeks of italian study, I discovered that language learning can only be appreciated after a lot of routine (even tedious) work is put in to practice everyday. Also, much of learning language is figuring out how to circumlocute, think creatively and quickly to express what you may not yet know how to articulate more simply.There surprisingly were few major cultural differences between Italy and America. They enjoy taking long lunches with time for espresso midday, are more thrifty when it comes to both more expensive electric and gas costs, and always enjoy talking soccer. These changes were in all minor, but all fully appreciated during my time there.As for my goals, I can proudly say I fully immersed myself within Florentine culture, and engaged time in the classroom everyday. I would have, within a less demanding schedule, liked to had more conversations with locals, but the experience interacting with those of the institute and at local stores was enough to engage my language learning. And Now, I feel much more confident approaching literature back at ND. Above all, I realized the agency of my academic desires. A project that was once only a far-off dream, or thought, I found I could organize and flourish within, in a completely different country. I’ve learned that I have many reasons to be confident in the future, however uncertain it may be, because of my accomplishments within this SLA grant. I know I want to pursue Italian further, which I cannot wait to do at L’Università di Bologna, and I want to see how I can further work abroad while at ND. To someone considering this same type of program, I’d say get in touch with the CSLC early, and start laying out a plan. It is a very unique opportunity to experience in a completely different way another country and culture. Planning ahead also keeps cost down, but in general be assertive about wanting to accomplish something worth dedicating part of one’s summer to. The next step for me I hope is towards international research, next summer. At this point in my undergraduate career, I feel that I now have the ability to conduct meaningful research abroad, if not within Italy. I’d like to see how this italian proficiency can open my academic horizon to a city such as Rome, and the wealth of writing and conversation concerning my other academic interests, i.e. philosophy and theology. Long term, of course, I will be open to opportunities abroad, and even this research could open up such possibilities. But for now, I look forward to immersing myself in italian university this spring, and seeing where I can academically flourish this upcoming summer.